Gaziantep – Friday, 15 April 2016 – The SRTF Management Committee approved a new intervention to reinforce food security in Aleppo and Idleb Governorates today. 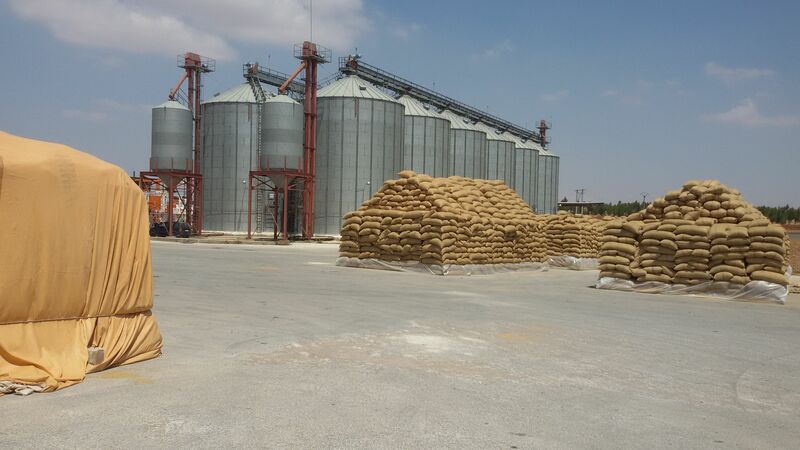 The “Enhancing Food Security of Aleppo and Idleb Governorate” project aims to overcome food insecurity in the two governorates by supporting the Syrian Public Establishment for Grains (SPEG) in carrying out a series of activities. At a total cost of EUR 13.74 million, the project will ensure procurement and import of 15,000 tons of soft wheat to supplement local hard wheat for bread production and three million Hessian and Polypropylene sacks for wheat and flour packing. The Hessian sacks serve local farmers to pack, store and transport their grains while the Polypropylene sacks serve milling plants to pack store and transport flour. The project also includes import and installation of two new milling plants and procurement of fuels to operate diesel electricity generators needed to power the plants. Other components of the project include procurement of Polyethylene Sheets for protection of harvested piles of wheat grains, phostoxin and rodenticide to protect wheat crops against insects-fumigation, mill workers safety and protection clothing and gear and fire extinguishers. The project also covers civil works such as building shed structures to house the new mills; maintenance support and transportation of goods. The project is expected to have a highly positive impact in terms of creating an environment of confidence for the local farming community with regard to the cereals market and for the population with regard to the availability of reliable supplies of flour to local bakeries. It will also have a stabilizing effect on pricing for bread and the locally produced wheat. Wheat bran as a milling byproduct will be sold to the livestock feed producers securing additional income to SPEG and contributing to the availability of animal feed, especially for the poultry sector for production of meat and eggs. Some 225,000 people, including 20,000 farmers, will directly benefit from the project, which will be implemented over a period of 18 months. Indirectly, the project will benefit some 2 million people as a result of food price stabilization, reduced bread prices, family-wide food security, and economic growth.